April is the month of showers, so we're showering people with contests! 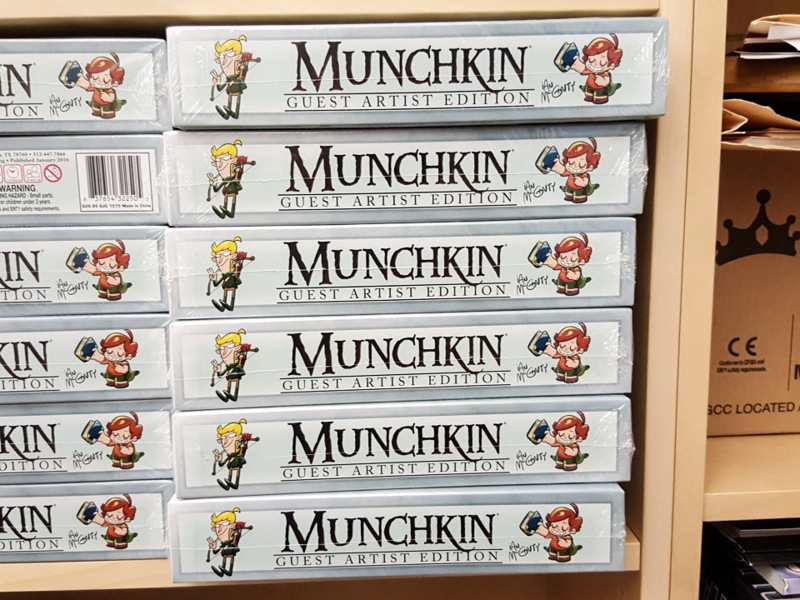 Starting today, we'll be giving away a copy of Ian McGinty's Munchkin Guest Artist Edition on Monday, Wednesday, and Friday. That's cool enough, right? 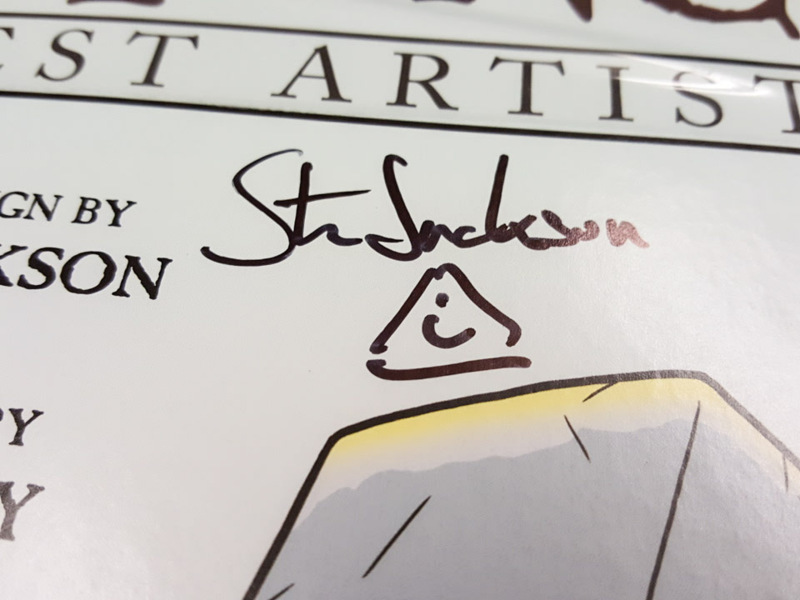 Well we didn't stop there: SJ himself has signed each copy! To enter, just follow our Facebook, Twitter, and Instagram pages, and reply to the contest post with #GAEApril. Monday will be Facebook, Wednesday is on Twitter, and it's Instagram on Friday! Winners will be chosen randomly before the next one starts. That means today you can enter on Facebook, so keep an eye open for that announcement! In addition, we'll be holding an #SJGamesLive event on Thursday, April 28th where we'll give away a few more signed copies on air. You'll be able to ask us questions and enter a contest -- it's a win-win! Make sure you're following all of our social media outlets and watch for our contest posts!